Earlier, the Kremlin said Putin and Trump would meet on the sidelines of the G20 summit, but no separate talks were planned. Washington: US President Donald Trump will meet with Russian President Vladimir Putin next week at a summit in Germany that brings two world leaders whose political fortunes have become intertwined face-to-face for the first time. Both the Kremlin and the White House announced on Thursday that the pair will meet on the sidelines of the July 7-8 summit of G20 nations in Hamburg. US National Security Adviser H.R. McMaster told reporters that no agenda had yet been set for the meeting, which is fraught with difficulties for Trump. Allegations that Russia interfered in the US presidential election last year and colluded with the Republican's campaign have overshadowed the businessman's unexpected victory and dogged his first five months in office. The United States backs rebel groups trying to overthrow Assad, and Washington angered Russia by launching missile strikes against a Syrian government air base in April in response to what the United States says was a chemical weapons attack that killed dozens of civilians. Trump has frequently called for better ties with Russia but lawmakers in his own Republican Party are urging him to be wary of Moscow. "As the president has made clear, he'd like the United States and the entire West to develop a more constructive relationship with Russia but he has also made clear that we will do what is necessary to confront Russia's destabilising behaviour," McMaster said. 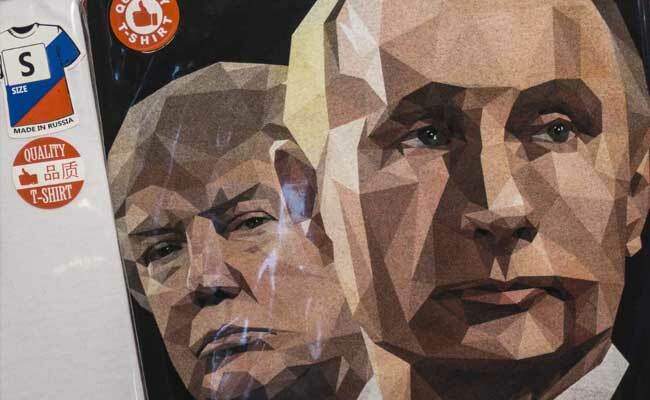 US intelligence agencies say Russia hacked and leaked emails of Democratic Party political groups to help Trump win the 2016 US presidential election against Democrat Hillary Clinton. Russia denies the allegations and Trump says his team did not collude with Moscow. Several congressional committee as well as the FBI are investigating Russia's role in the election and any alleged collusion by Trump's campaign. Trump raised Russian hackles this week when the White House said it appeared the Syrian military was preparing to conduct a chemical weapons attack and warned that Assad and his forces would "pay a heavy price" if it did so. Russian Foreign Minister Sergei Lavrov warned on Wednesday that Moscow would respond proportionately if the United States took measures against Syrian government forces. But Lavrov added that it would "probably not be right" if Putin and Trump did not talk at the G20 summit of world economic powers. Putin, who has served as both Russian president and prime minister, has outlasted the previous two US presidents, George W. Bush and Barack Obama. Officials from those administrations say American officials initially overestimated their potential areas of cooperation with the Russian leader. Then, through a combination of overconfidence, inattention and occasional clumsiness, Washington contributed to a deep spiral in relations with Moscow, they say. Those relations reached a post-Cold War low under Trump's predecessor, Obama. In the last days of his presidency, Obama ordered the expulsion of 35 Russian suspected spies and imposed sanctions on two Russian intelligence agencies over their involvement in hacking U.S. political groups in the 2016 election. A proposed new package of sanctions on Russia in the US Congress might complicate Trump's desire for warmer relations with Moscow. The US Senate reached an agreement on Thursday to resolve a technical issue stalling the sanctions, although the measure's fate in the House of Representatives is uncertain. in an attempt to reassure US allies that are neighbours of Russia.